Nice article by Marvin M. about engineers and the role of social medias. Will you agree with his vision? Traditionally, engineers and technicians met in conferences, workshops and seminars. Luckily, especially for some of us in the third world, the internet, and consequently social media, has infused all aspects of our lives, including careers. Social media and blogging have changed how people communicate across platforms and by extension, how we conduct our business. However, though there are a number of social media platforms out there, each bears different levels of usage to an engineer. The article highlights the strengths of various platforms in creating a peer-to-peer avenue for professions in different countries. Many people attest to the point that engineers are paid to think, not type. Well, I counter that by saying that ideas are best explained in the text, and, of course, in electrical engineering, diagrams. Engineers are naturally drawn to engineering blogs, much as doctors frequent medical blogs. This is more so because the content is field specific. Without the specialized knowledge, it is virtually impossible to understand, nor contribute in the forums. This beats the reason for joining in the first case. However, how do you draw your peers in? The first and primary facet is to provide consistent, brief but informative content in the blog. Note that the internet is rife with electrical engineering material, form journals, white papers, to whole texts and manuals. The main challenge, therefore, is to be unique. This involves presentation of information and universally known facts, in an interesting way that keeps the reader engaged. In addition, inclusion of pictures is crucial, as it aids in understanding and smooth flow of the text. Secondly, another way to make a blog interesting is to instigate debates, and provide personal experiences in matters connected to the field. For examples, I can share my experiences of almost daily power outages in my town, deep in Kenya. For some people, especially in the developed countries, such occurrences are unheard of, except in serious natural calamities. On my side, I am able to learn about the latest, both in technology, techniques, tools and equipment and troubleshooting of various electrical scenarios. By allowing such a provision, this gives a chance to fellow engineers to chip in and share their unique experiences. Within no time, the blog will grow into a rich forum for engineers, both professionals and students. This is perhaps the primary go to the site for the engineering profession. 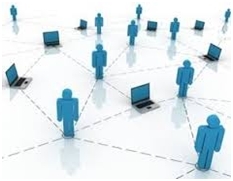 The site is primarily a networking tool that allows the user to link up with peers in the same, and across professions. It is more of a social avenue, for professionals. Of most importance, LinkedIn offers a provision of joining special interest groups, in this case electrical engineers for discussions within the field. 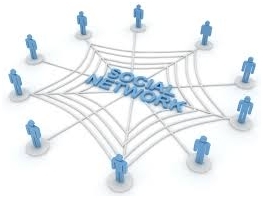 Avoid the recruitment agencies and scammers: then it should be the prime networking and discussion forum. Since its inception, professionals, especially engineers, have steered wide of facebook. It is regarded as more of a social tool, as out of work and holiday social forum, rather than an avenue for professionals. Yet, do note that there are still numerous material, covering the various categories of engineers. Most of these, however, are posted by industries and manufacturers, engineering magazines and journals, and a few engineering groups. All it takes is a simple search on the search page, much as you would do on Google. The character limit allows for precise posting. In a few words, one can capture the attention of a fellow engineer and initiate a discussion, regardless of region. The integrated allowance for links is best used to direct the interested parties to the main content. Many engineering establishments are already using twitter to communicate with clients, both potential and present. One only needs to set-up an account using an appropriate name, and fill out a bio. Although not so common, a handy way that engineers can communicate on twitter is through relevant hashtag, say, for example, #switchgearoptimization and then holds a discussion with relevant links. The available social forums and blogging allocations for sure brings together engineers across different countries. The introduction of smartphones, various applications, some within the social media avenues, additionally allow easy sharing of data, and even pictures in real time. Professions are able to hold real-time discussions, and sharing of personal experiences. These forums accord a rich avenue to increase our knowledge base, especially for engineers in the third world counties. or copy this trackback: http://engineering.electrical-equipment.org/engineering-web-tips/importance-of-blogs-and-social-media-to-engineers.html/trackback from your own site. Great Post.. your Information is very Helpful for Me .. thanks For Share this Blog….